Travel via cruise ship through the calm, protected waters of the Inside Passage, through glacier-calved fjords, snow capped mountains and lush forests. 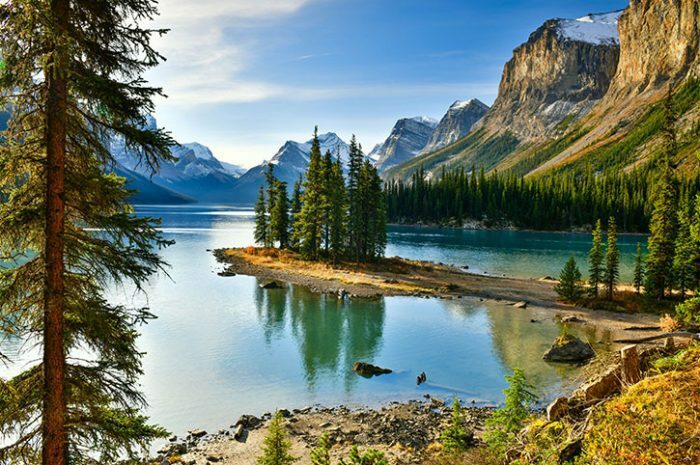 After departing from your cruise ship, enjoy a 9 day guided tour of the Canadian Rockies. Welcome to Vancouver, the entire day is yours to enjoy. With most of Southeast Alaska accessible only by boat or plane, cruise the Inside Passage for a unique view. 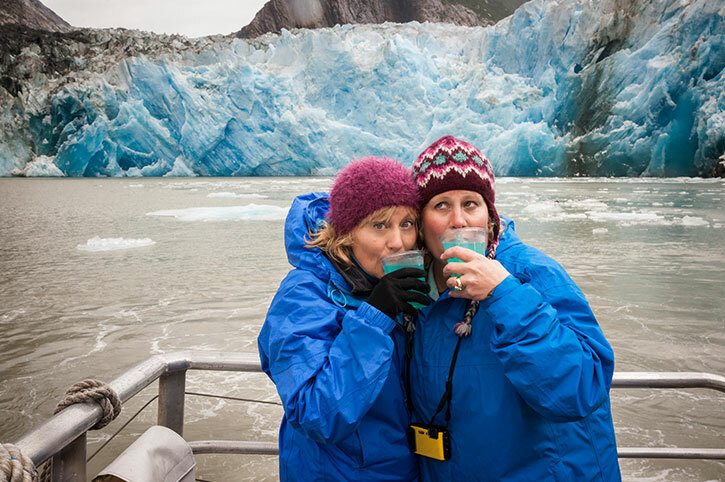 The dramatic Sawyer Glaciers at the end of Tracy Arm are framed by mountains and bathed in the blue hue of the ice. Arrive in Juneau, where you can shop downtown, kayak, dogsled, raft or flightsee. Step into the town’s colourful past at the Klondike Gold Rush National Historical Park. From the comfort of your ship, enjoy the pristine wilderness of Glacier Bay National Park. While ashore, check out the world’s largest collection of standing totem poles or an optional guided tour through town or a harbour cruise. Sail into Vancouver Harbour this morning. After disembarking, transfer to the hotel and join your group for a Welcome Reception at 6 p.m.
Start your morning with a sightseeing tour of Chinatown and Gastown, then set out for Stanley Park to view First Nations totem poles. Travel by ferry to Victoria on Vancouver Island and visit a family-owned working farm and taste a freshly prepared farm to table meal at a Be My Guest lunch on the property. Later, take a tour of Victoria. 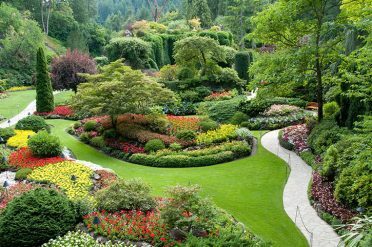 Greet the day with breakfast at Butchart Gardens, a 55-acre showcase of gorgeous floral gardens and spend some time meandering through the property. Back in Victoria, enjoy the rest of your day. 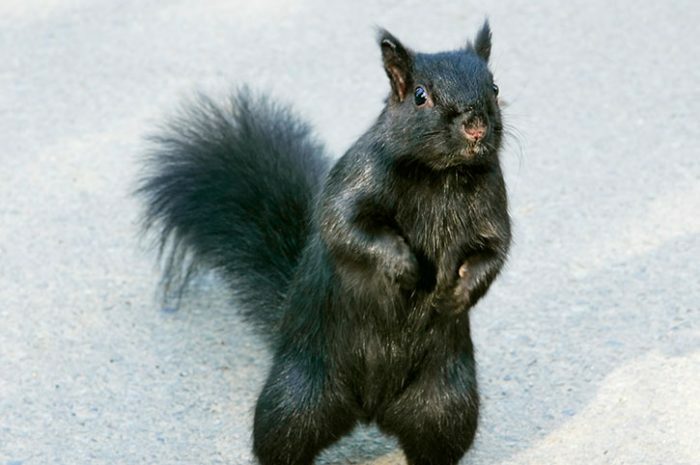 Cruise back to the mainland for a visit to the British Columbia Wildlife Park, where you get a chance to view wildlife. Tonight, be welcomed to the Shuswap territory with traditional song by a First Nations member, and Local Specialist, before indulging in a dinner followed by s’mores roasted on an open fire. Travel into the majestic Rocky Mountains. 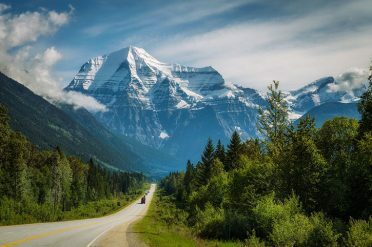 Stop for a knock-out view of Mount Robson, the highest peak in the Canadian Rockies, a UNESCO World Heritage Site. The rest of the day is at leisure in Jasper. Start the day with an interpretive walk at Maligne Canyon followed by a cruise to Spirit Island on Maligne Lake. The rest of the day is free before dinner at the hotel. Join the fun and experience an easy rafting / scenic float trip down the Athabasca River, a designated Canadian Heritage River. A National Park licensed guide will provide commentary on the human and natural history of Jasper while navigating you along the same route used by the “fur traders” over 2 centuries ago. Lifejackets and the specially designed, 25 foot (7 meters) long, oar powered rafts; offer a safe and comfortable ride through several small, easy sets of rapids and calm stretches that any first time rafter will enjoy. Don’t worry the guides do all the rowing; you sit back and enjoy while exploring all the spectacular scenery drifting down a route that was used by fur traders many years ago. There is always a chance of seeing various wildlife including elk, deer, moose, coyotes, wolves, eagles, ospreys, mountain sheep and bears. 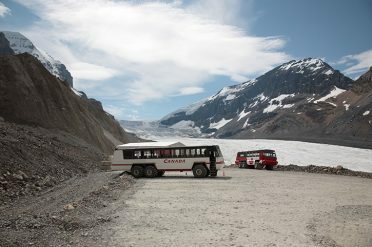 Join your guide on the “Path of the Glaciers” with Mount Edith Cavell’s snow-capped peak towering a mile overhead. See the emerald green of the “Lake of Forgiveness” and look out for incredible glacial formations, including icebergs and ice avalanches. Be sure to wear your good walking shoes for this 90-minute moderate walk. You’ll have plenty of stops for picture taking, enjoying the scenery and learning about the local history and geography. You may also spot wildlife during the 40-minute drive to and from this area. Operates seasonally. Approx. duration: 3 hours. Travel along the stunning Icefields Parkway and ride out on the Athabasca Glacier aboard a specially designed Ice Explorer. Travel on to Banff National Park and picturesque Lake Louise before you settle in at your hotel. Learn about the history of the Royal Canadian Mounted Police from a Local Specialist during “Meet a Mountie.” Later, see Surprise Corner and Bow Falls. Tonight, enjoy a Farewell Dinner to toast the end of your holiday with newfound friends. You are in for something special as you are transported to Mount Assiniboine – “the Matterhorn” of the Canadian Rockies. Our most popular adventure has all the fantastic scenery of the previous tours plus a fly by over top of the glacier. This photogenic peak rises majestically to 3,611 meters (11,870 feet) along the Great Divide. The Gloria and Assiniboine Glaciers will astound you. This is an experience you will never forget! This journey will only enhance the Three Sisters Peaks Tour by exploring the Goat and Sundance Ranges of the Rocky Mountains. You will see mountain peaks, alpine meadows, waterfalls and untouched glacier lakes. Perhaps even a glimpse of some wildlife. It’s an extraordinary adventure not to be missed. The most action-packed twelve minutes of your life. Get up close and personal with the world famous Three Sisters Peaks. Reach out and touch them as you whisk by before escaping into the Spray Valley where you will explore the extraordinary hues of the Spray Lakes. Your return flight travels along the Goat Range before following the pristine Bow River back to Canmore. At the Banff Gondola, you’ll see more mountains in a moment than most see in a lifetime! Ride to the top of Sulphur Mountain to experience a bird’s eye view of six mountain ranges of the Canadian Rockies. Begin with an eight-minute journey to the summit in a fully enclosed four-passenger gondola cabin. The views become increasingly spectacular as you climb to an elevation of 7,486 feet (2,281 meters) to the Summit Upper Terminal. Witness the breathtaking views in every direction or go to the restaurant area to enjoy the views inside or from its upper deck. You can also take the Banff Skywalk for a short self-guided interpretive walkway along the summit ridge leading to the Cosmic Ray Station National Historic Site of Canada. Subject to weather conditions. Approx. duration: 2.5 hours. Descend from the glorious Canadian Rockies and transfer to Calgary International Airport or to the Delta Calgary Downtown if you are extending your stay. Alternatively, choose our 9 day Explore the Rockies Guided Tour from £1975 for shorter stays. All prices are per person, based on 2 sharing a twin room, and include meals where shown. Call Freedom Destinations for departure dates and availability. Seasonal variations may apply – call or enquire now for more details. Itineraries may vary for tours departing from 1st April 2020 onwards. First class touring with the company of others. Our experienced guides will make sure you don’t miss a thing.